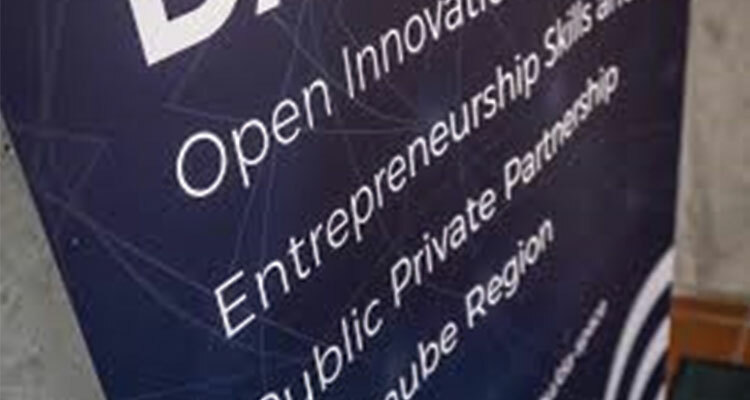 DA-SPACE is a project which, by piloting a model of open innovation labs, gathers companies, public authorities, universities and public, aims to create fundaments for innovation, together with young talents and at the same time, contribute to their development within their society. Partnered in the project are institutions and organisations from Germany, Romania, Slovakia, Bulgaria, Czech Republic, Croatia, Hungary, Slovenia, while Serbia is represented by the University in Novi Sad, Vojvodina IKT Cluster and Provincial Secretariat for Economy, Employment and Gender Equality. Through these labs, a cross-disciplinary and transnational cooperaton among different stakeholders, companies and individiuals, will be developped, with an aim to generate new solutions and nurture the entrepreneurial skills of all participants involved. The project will test seven open innovation labs in seven regions in Germany, Romania, Slovakia, Bulgaria, Czech Republic, Croatia and Serbia. In these labs, public institutions, universities and companies will pose real problems and challenges to young talents. In Serbia, the lab will be organised within the University in Novi Sad and Vojvodina IKT cluster. DA-SPACE labs will benefit all involved – young talents will work on real business cases and will be able to test their solutions in an isolated and safe environment. This way, they will acquire precious entrepreneurial skills, but also show their skills and capabilities that can open up good business opportunities for them in future. On the other hand, “seekers”, e.g. small and medium-sized enterprises, public authorities and universities will test business solutions and methodology on concrete problems. Besides, their employees – involved as mentors in the lab – will improve their business competences and skills responding to daily market requirements. The results will be presented and serve as a road map to define a transnational strategy to boost innovation and entrepreneurship in the Danube region. Knowledge and experience acquired in DA-SPACE project will be transferred to up to 4 further Danube regions through workshops and other educational forms. Besides, a sustainability strategy will be defined in order to find ways for financing labs after the end of funding, through public-private-partnership, sponsorship or donations through national and European funds. Project DA-SPACE was launched on January 1 this year and would last till June 30, 2019. A total budget for the project is 1,787.166,5 Euros, with European Fund For Regional Development (ЕRDF) donating 1,342.128,75 Euros, and 176.962,77 Euros from IPA funds. Detailed information about the project at http://www.interreg-danube.eu/approved-projects/da-space.